Rankings are fickle things, and last week’s new 2018 list from Bloomberg Businessweek is a good example of how utterly capricious the results can be. Some schools are vastly overvalued on the new list, ranked much higher than they are on other lists. Other schools can be woefully undervalued. What MBA programs aren’t getting the respect they deserve from Businessweek this year? The most undervalued schools include publics and privates, ranging from such elite players as Dartmouth College’s Tuck School of Business and the University of Michigan’s Ross School of Business to such stellar publics as Michigan State’s Broad College of Business and Ohio State University’s Fisher School of Business. To come up with our list of the most undervalued, we compared last week’s Businessweek ranking with Poets&Quants‘ composite rankings of the previous year’s five most influential lists, including Businessweek, U.S. News, Forbes, the Financial Times and The Economist. The gap between the two rankings shows the most undervalued among Businessweek‘s top 50 schools. They were among the biggest surprises in what was the 30th anniversary ranking by the magazine (see The Ten Biggest Surprises In Businessweek’s Ranking). The biggest gap? It’s the University of Pittsburgh’s Katz Graduate School of Business. Businessweek ranks its MBA program a lowly 53 vs. the P&Q composite of 29, a gap of 24 places. Other superior programs getting short shrift include the full-time MBA offering at Michigan State’s Broad College, with a gap of 24 places between its Businessweek rank of 53 and its composite placing of 29, and Boston University’s Questrom School of Business, with a agp of 16 spots between the BW rank of 57th and the composite rank of 41. The most highly selective program shortchanged by Businessweek, however, is Dartmouth College’s Tuck School of Business. Tuck plunged a dozen places this year to rank 19th among U.S. MBA programs, from seventh only last year. It was the single biggest fall of any highly selective business school on the ranking. Our gap analysis shows that Tuck is undervalued by exactly the same number of places it dropped. In other words, instead of ranking 19th, it deserves to be ranked seventh! 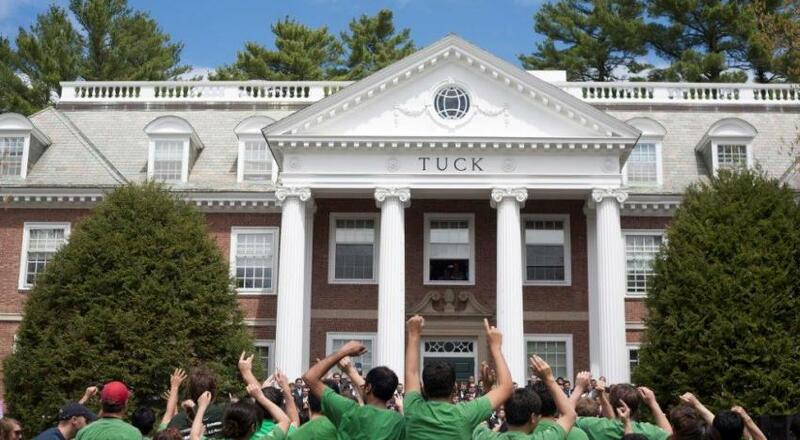 The steep decline was totally uncharacteristic for Tuck which offers an intimate MBA program in one of the most supportive communities ever put together by faculty and students. Students who graduate from Tuck enter an alumni network second to none. The rankings drop largely occurred because Businessweek made dramatic changes to its methodology that somehow penalized one of the premier MBA educational experiences in the world. Three other generally highly rated MBAs that didn’t fare nearly as well as they should in the ranking deserve special attention: Michigan’s Ross School, Indiana University’s Kelley School of Business, and Notre Dame University’s Mendoza College of Business. All three schools have a gap of seven places between their new Businessweek ranks and our composite scores. Ross is ranked 18th versus 11th; Kelley placed 28th versus 21st, and Mendoza finished at a rank of 31st versus 24th. The lesson here for applicants and students is that every ranking should be treated with a very big grain of salt.